I had so much fun last week visiting my mom on the farm; and while out of town, I kept true to my workouts and healthy eating even with the fun size Mounds candy bars my mom had waiting for me and the birthday brownie she served Thursday night. 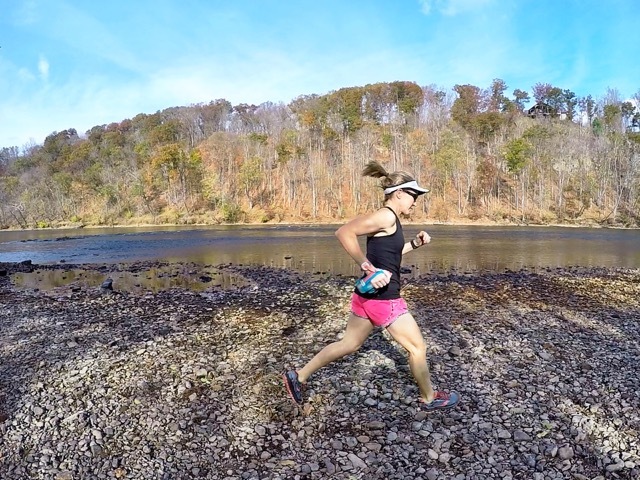 The weather was fantastic so it was easy to get outside and run. Strength training was mostly limited to body-weight resistance since mom’s dumbbells only go up to five pounds; however, I got quite good at holding a five and three-pounder together for a little more weight. I really need to remember to take my TRX or resistance tubing with me next time. 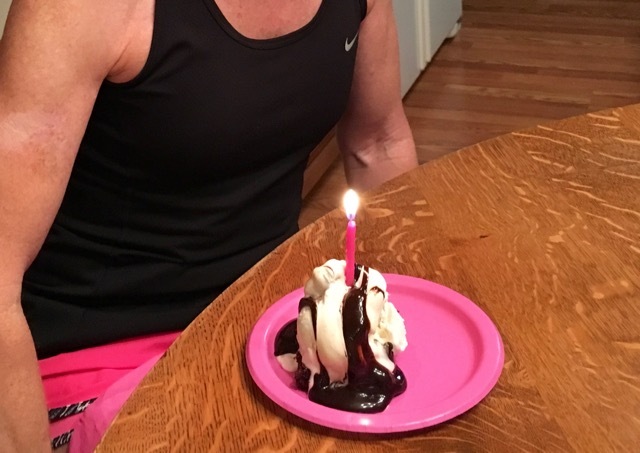 Thursday night before we left my mom’s house, we celebrated my birthday a few days early with a brownie topped with vanilla ice cream and hot fudge sauce. It was amazing and all the better because I haven’t been eating much crap lately so it was truly a treat. 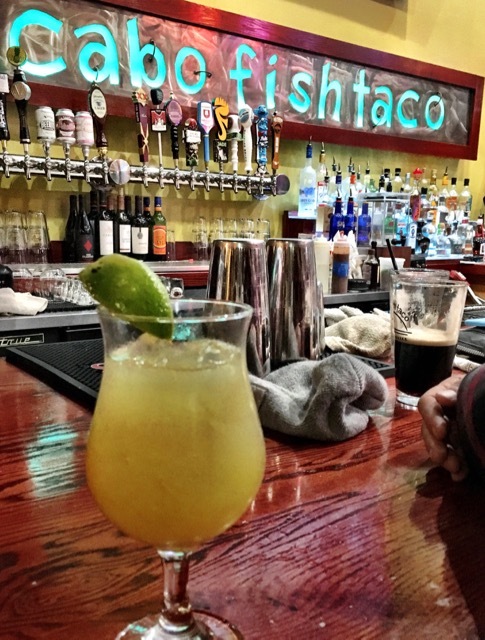 Friday evening Bill and I met friends at Cabo Fish Taco for margaritas and shrimp tacos – both were outstanding, as was the time visiting with our friends! 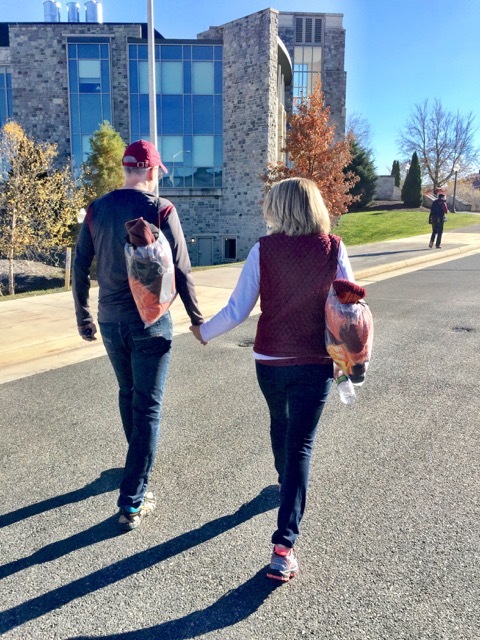 Unbeknownst to us, our friend Katie snapped this picture as Bill and I walked from our tailgate to Lane Stadium on Saturday afternoon. We were blissfully naive as to how horribly our Hokies would play, but we didn’t let it get us down. What’s your favorite taco? ~Definitely shrimp for me! Do you like Mounds? ~ Mounds and M&M’s are about the only candies I eat, but I don’t keep them around because they’re so tempting! My favorite tacos have to be fish tacos with the chipotle sauce…yum! That is a great resistance workout. I’ll have to try that next time I need a quick workout at home. I love fish tacos, too. 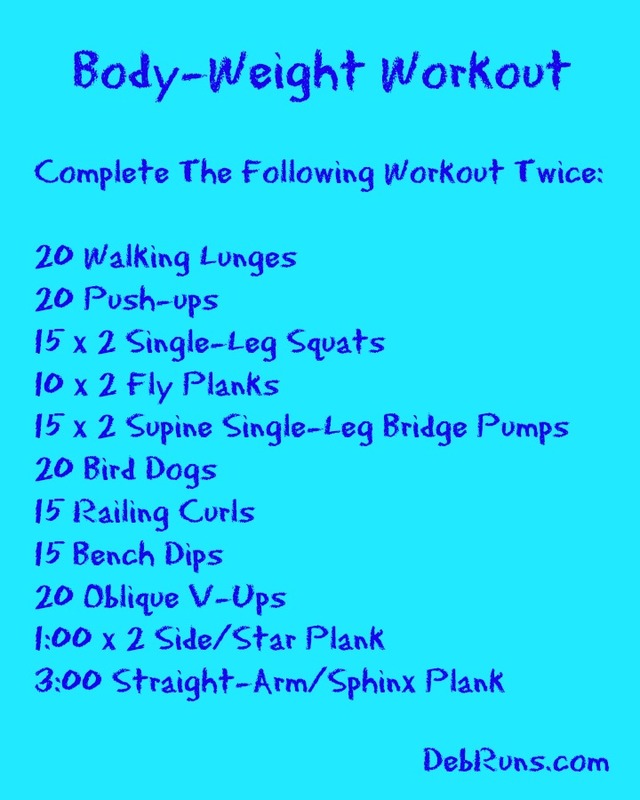 Definitely try the workout. It’s pretty basic, yet includes exercises for most of the major muscle groups and the core. Awesome week for you! Love that pic of you and the hubby 😉 Tacos? I”m traditional…going with beef for that (but I do like chicken, too). I like most candy bars…probably Snickers, Twix, and Reese’s are the top three, though. Happy birthday to you! And I do LOVE Mounds candy 🙂 Actually, there’s hardly any chocolate treats I don’t like! 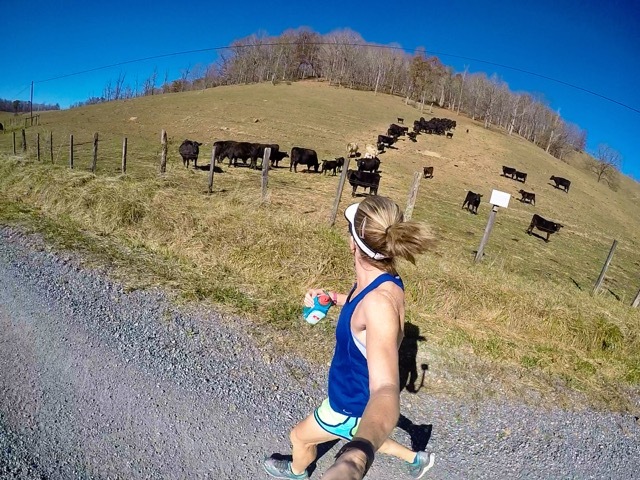 There is never a dull moment running in farm country! 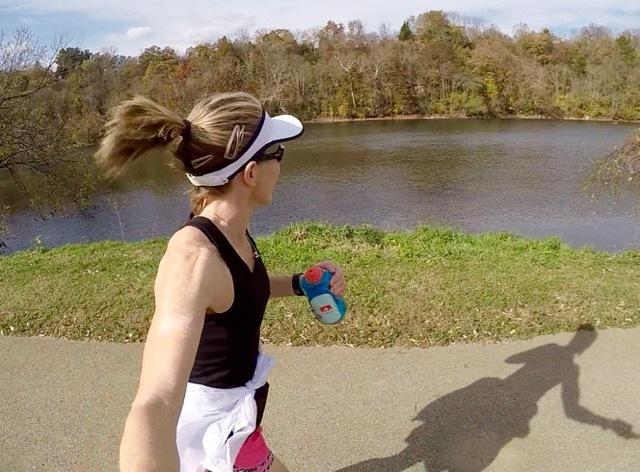 Running by pastured land is so peaceful – minus cows mooing or neighbor dogs chasing. Yes, the downside to running out in the country is the random untied dog who either wants to tag along or nip at your heals. I know you enjoyed visiting your Mom! The brownie looks delicious. I was always given the Mounds and Almond Joys from my kids trick-or-treat haul. I missed that this year. Hands down, fish tacos. Love them. That is such a sweet photo taken at the ballgame. Thanks for linking, Deb!